This is part of a dispersion modelling exercise which a client required for compliance purposes. 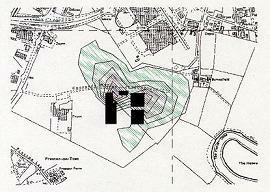 The map shows isopleths of decreasing solvent concentration in the air around the factory and its neighbours. Aspen can do this sort of mathematical modelling for most types of emissions.